Let us Spire your dreams!! 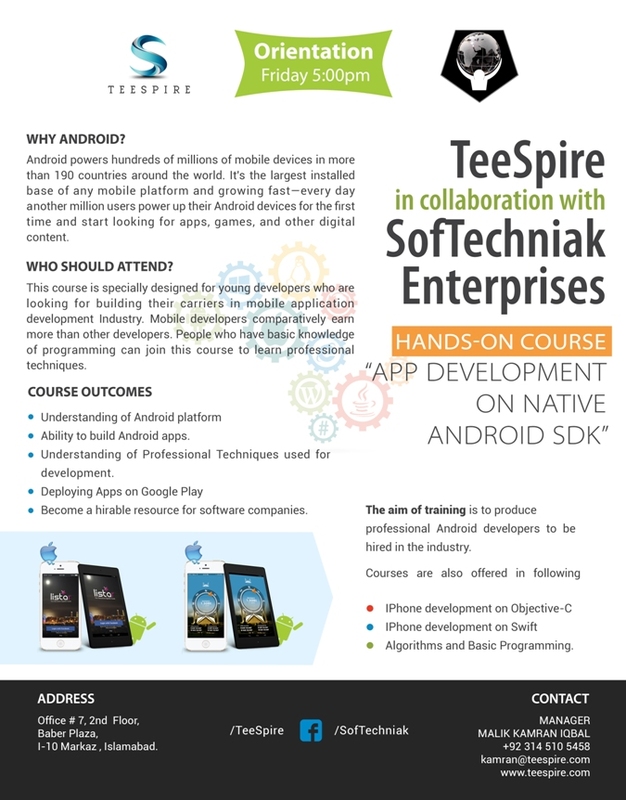 We will be conduction a free 1-hour orientation session on Android Application development. In this session we will tell the audience why Android is such a big deal now, why should they sign-up for a 40 credit hour course and what to expect from full course. We will also be open to any questions from the attendees related to Android development. Join us at 5 PM on Friday, 7th August, 2015 at Office # 7, 2nd Floor, Baber Plaza, I-10 Markaz, Islamabad.